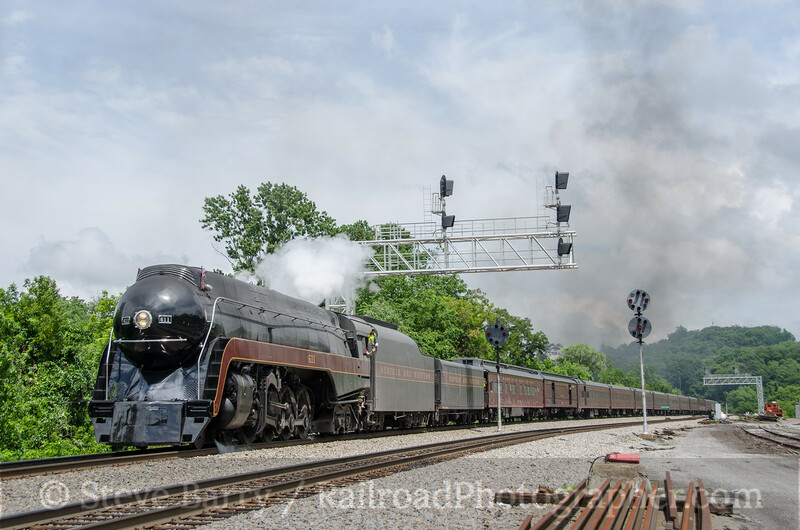 For 73 years Santa Claus has traveled the rails of the Clinchfield, Carolina & Ohio Railroad (known simply as "the Clinchfield." 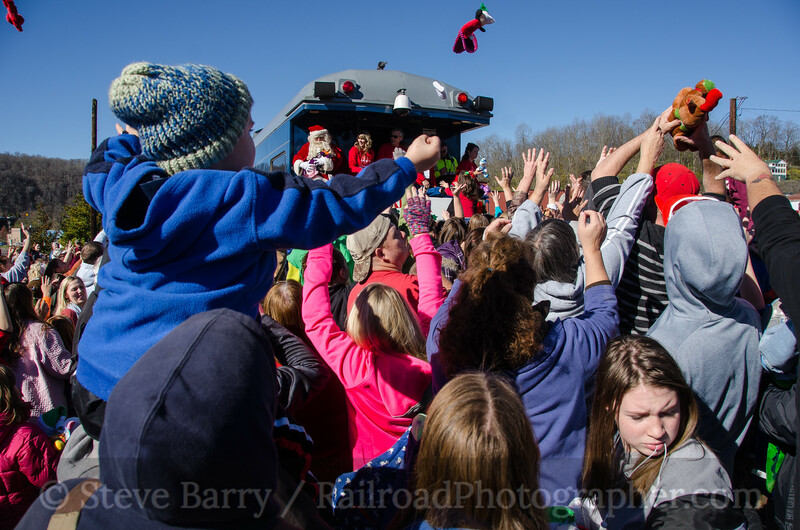 Traveling from Elkhorn City, Ky., to Kingsport, Tenn., (and spending most of its journey in far southwest Virginia), the Santa train has traditionally run on the Saturday before Thanksgiving, spreading cheer to Appalachia. 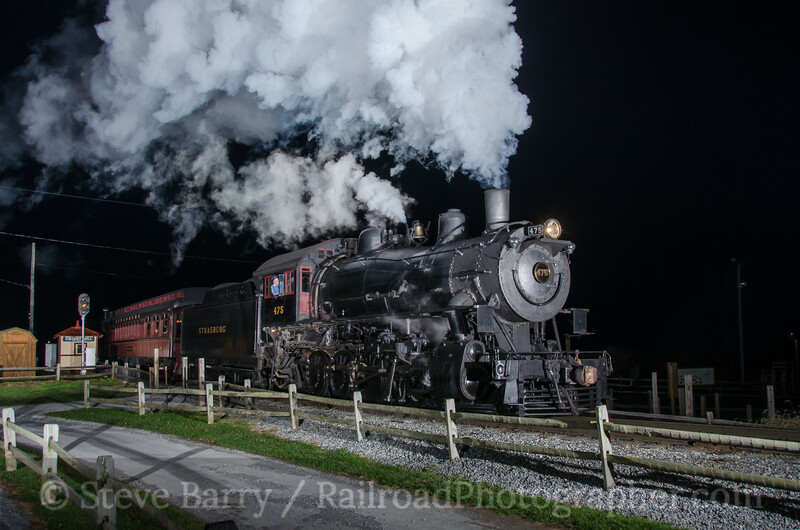 In recent times, with the hardships of the southwest coal region, the train has been even more important in bringing Christmas to this economically challenged region of the U.S. 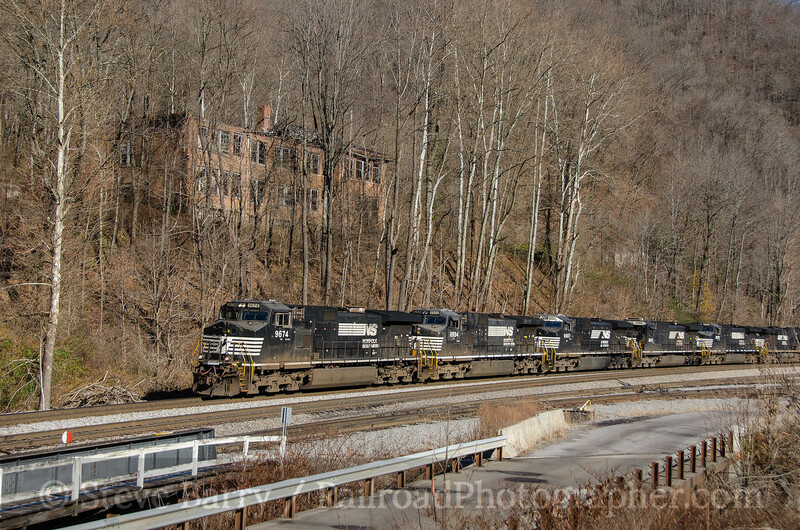 The train has run under the banner of the Clinchfield, continued to run when the Clinchfield became a part of Seaboard System, and when CSX was formed in 1981 the train still continued. 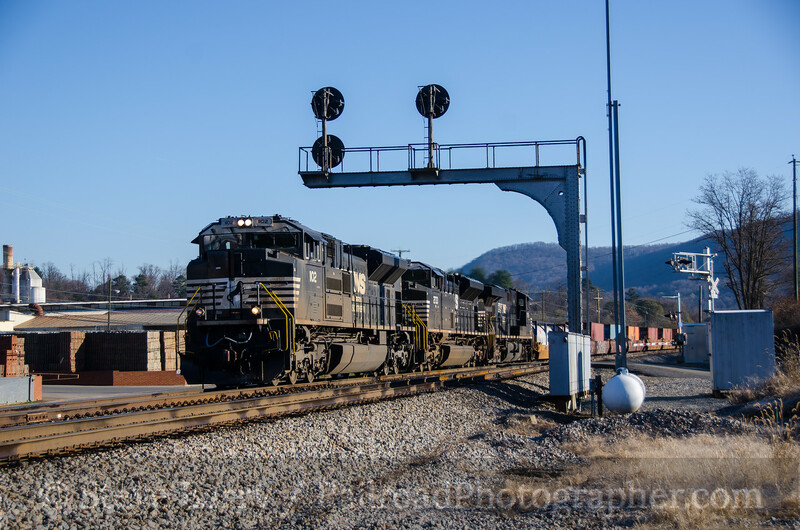 In October 2015 CSX made the announcement that it was downgrading the Clinchfield main line (which extends from Elkhorn City to Spartanburg, S.C.). 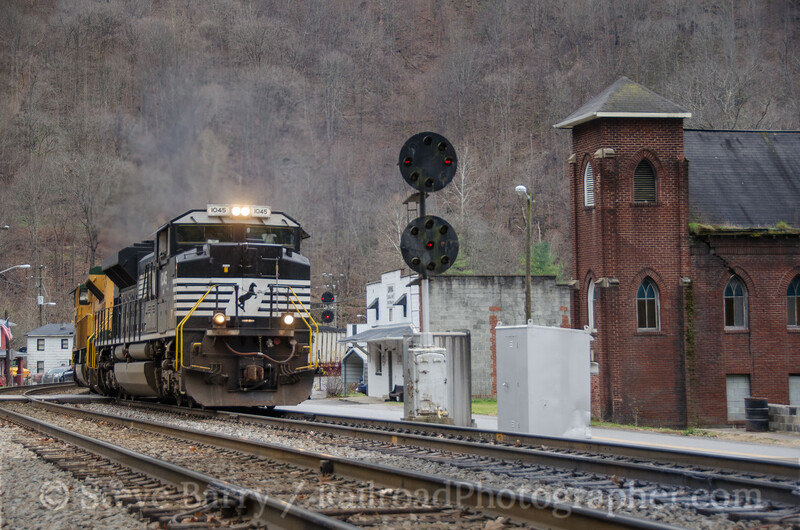 Elkhorn City to McClure, Va., would see a train serve one customer on an as-needed basis. 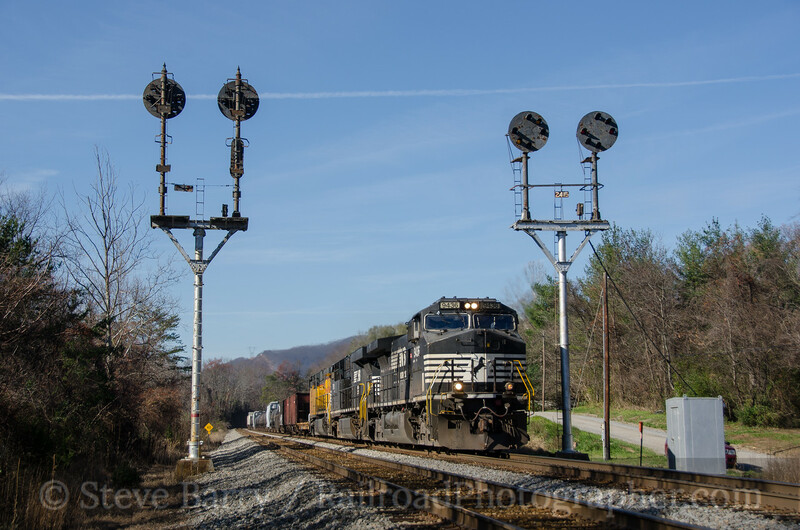 From St. Paul, Va., to Frisco, Va., the tracks would still be used, but not by CSX -- Norfolk Southern runs trackage rights trains over this section. 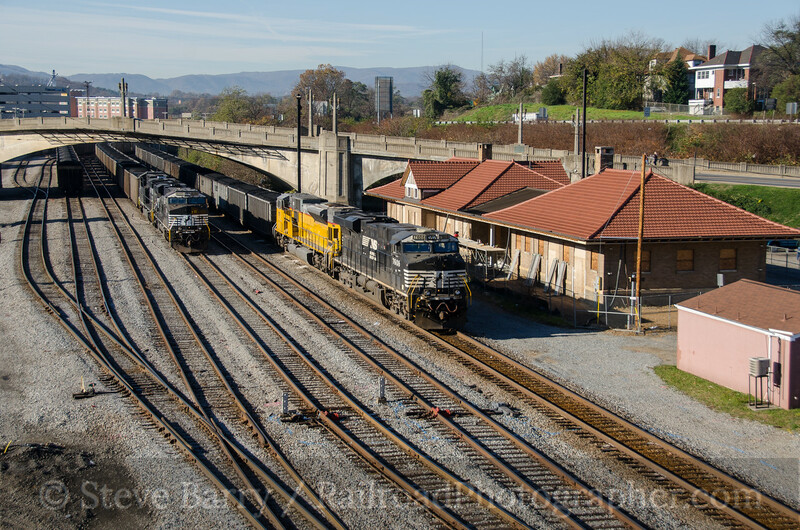 Customers in Kingsport would continue to be served from the south at Spartanburg. 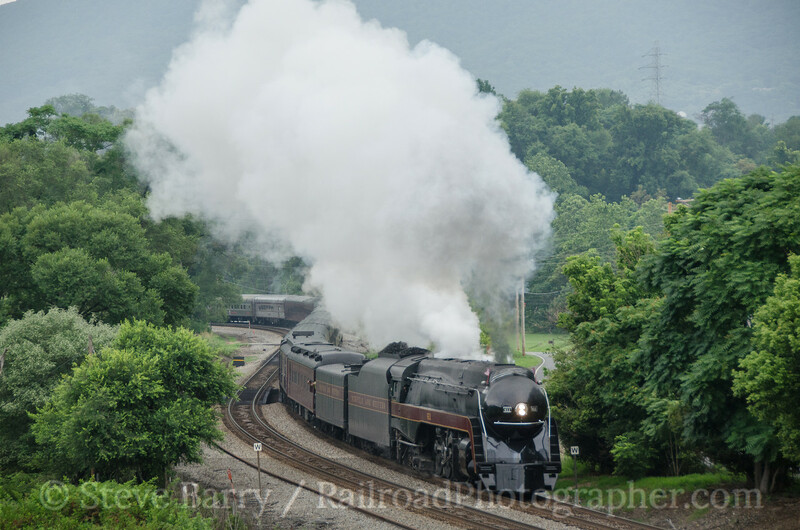 But two sections -- McClure to St. Paul and Frisco to Kingsport -- would see no more trains. 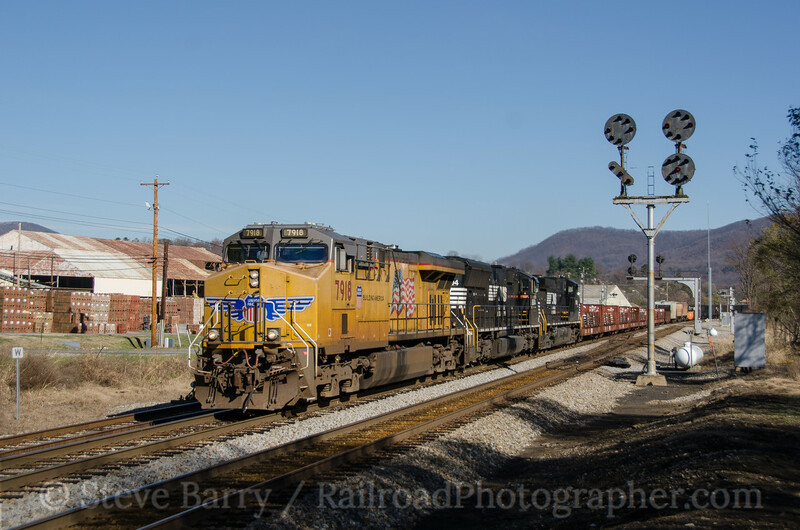 To top it all off, 300 employees lost their jobs when CSX closed the Clinchfield shops at Erwin, Tenn. 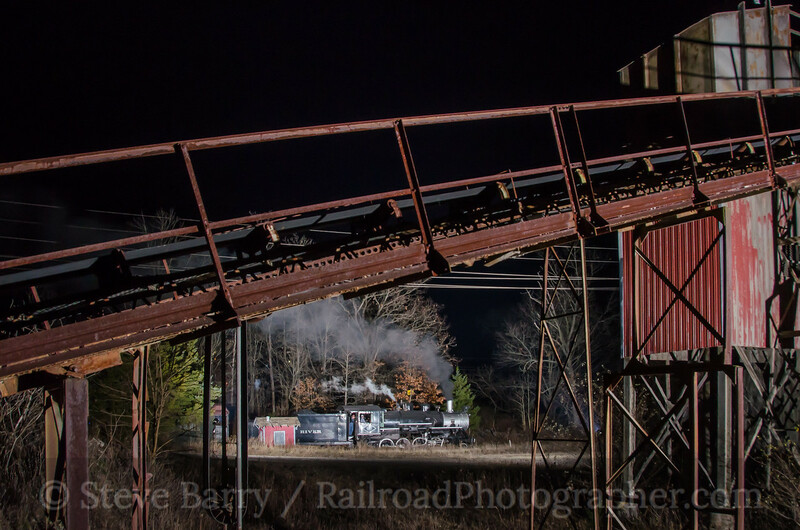 The Santa Train's route includes both of the sections of the railroad that will see no other trains. 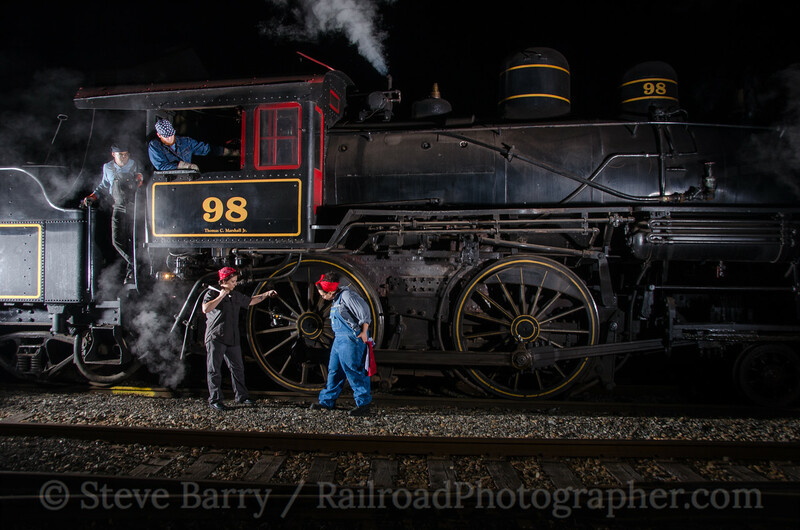 I had not planned on chasing the Santa Train this year. 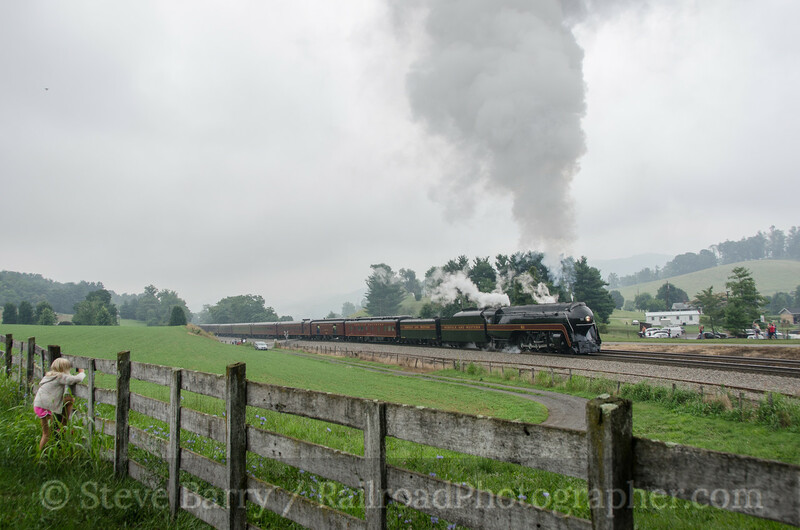 I had chased it in 2014 and planned to go back for the 75th running in 2017. 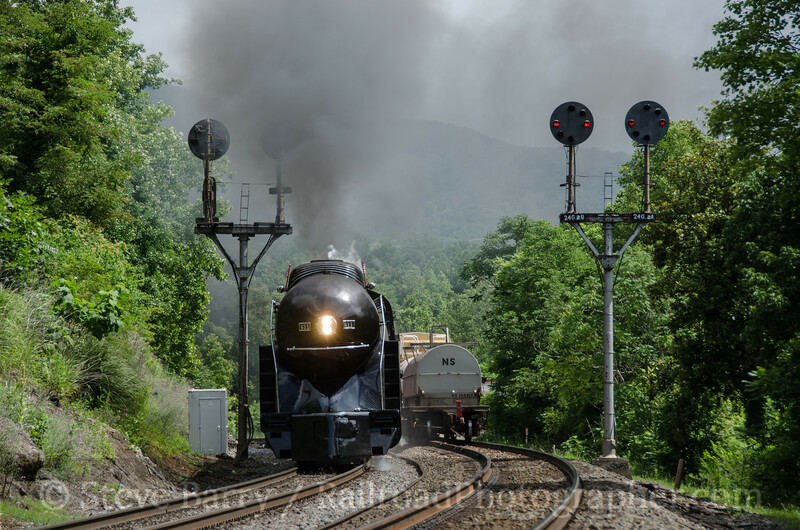 But with the sudden change in the status of the Clinchfield, I decided to do the chase again this year -- just in case. 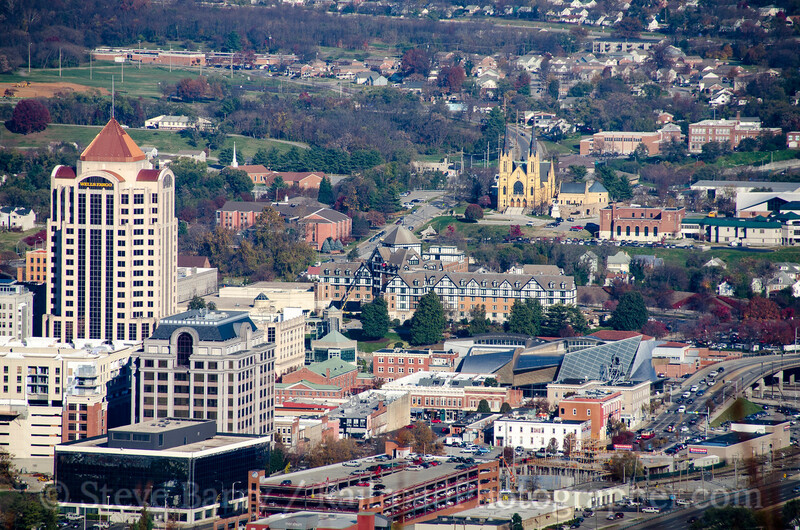 The only problem was I had a prior commitment in Lancaster, Pa., the night before. 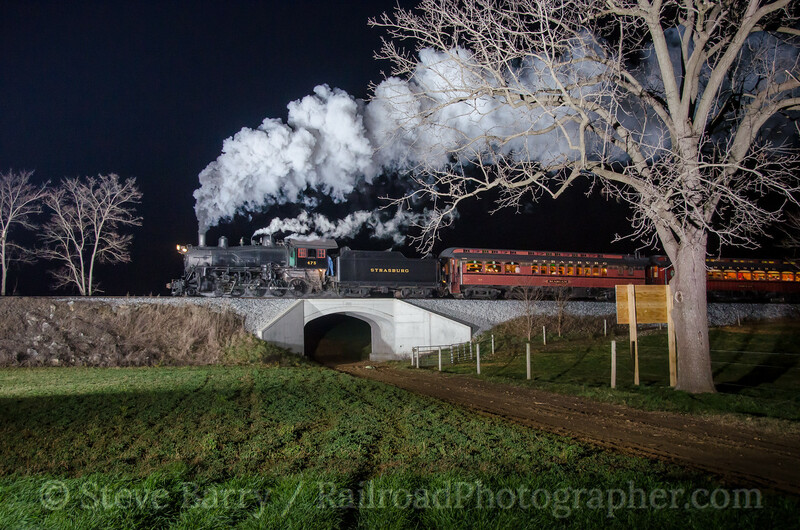 But with the possibility that the 2015 Santa Train might be the last through train on the railroad, I left Lancaster at 9:30 p.m. and did the all-night drive to Pool Point, Ky., just south of Elkhorn City. 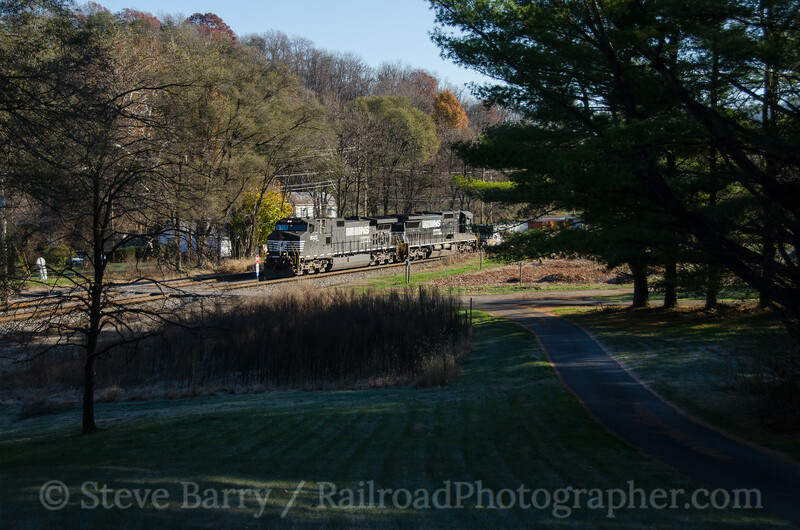 I caught up with the train as it made the spectacular crossing of a large bridge in Breaks Interstate Park at 7:45 a.m. on November 21. 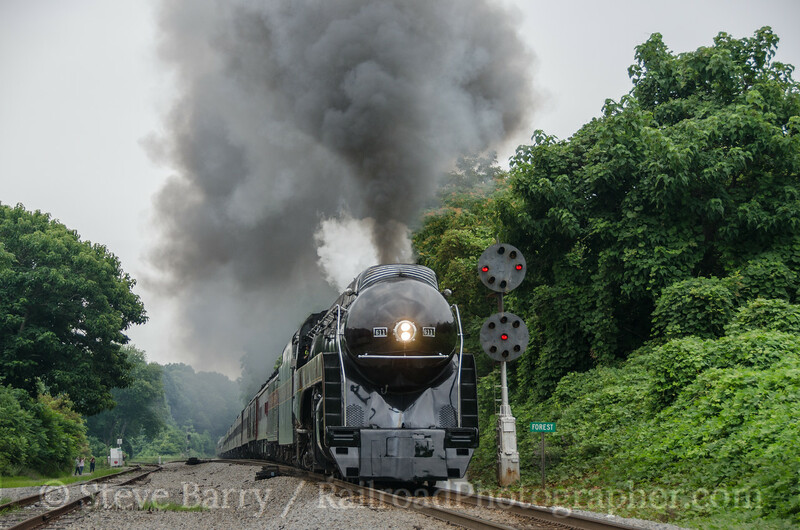 The train had already made two stops by this time. 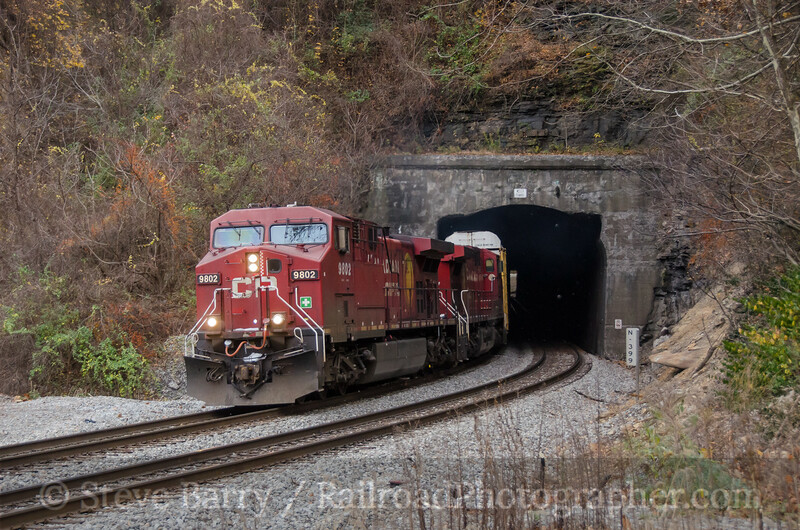 After hiking out of Pool Point, I used the train's stop at Haysi, Va., to get ahead of it, setting up at the tunnel just north of the train's next stop at Clinchco, Va. 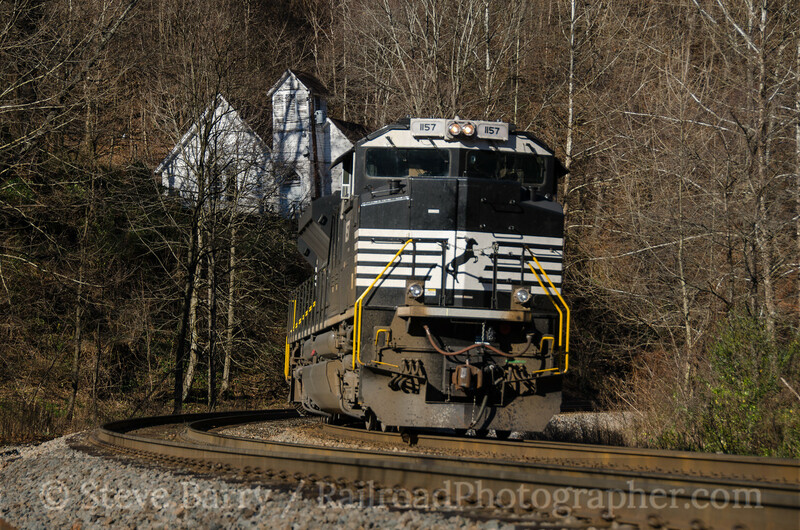 The train makes several stops of 15-20 minutes at various towns along the railroad. 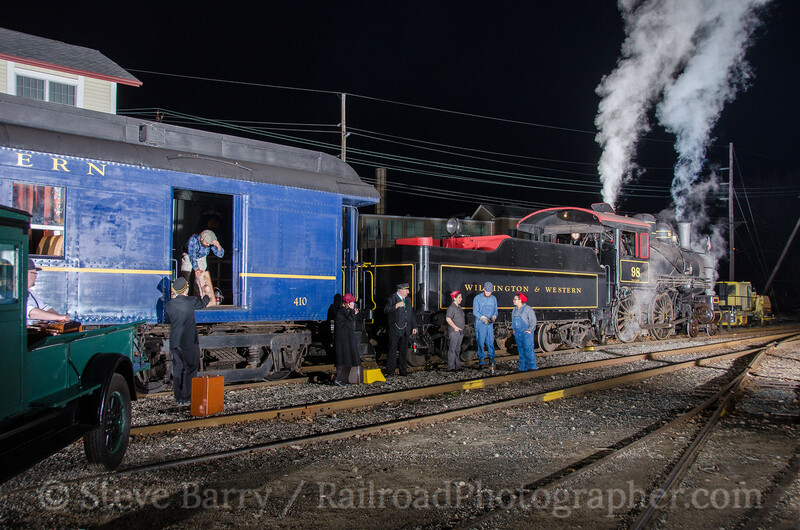 At each stop, Santa and his helpers throw tons of stuff (literally -- estimates say that 25 tons of goodies are distributed from the train) into the waiting crowds. 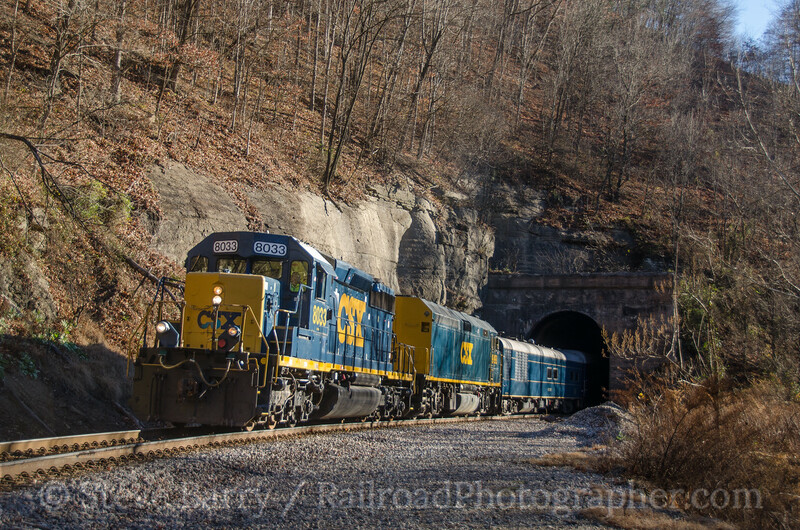 The Kingsport Chamber of Commerce is the driving force behind the train, with a lot of help from CSX. 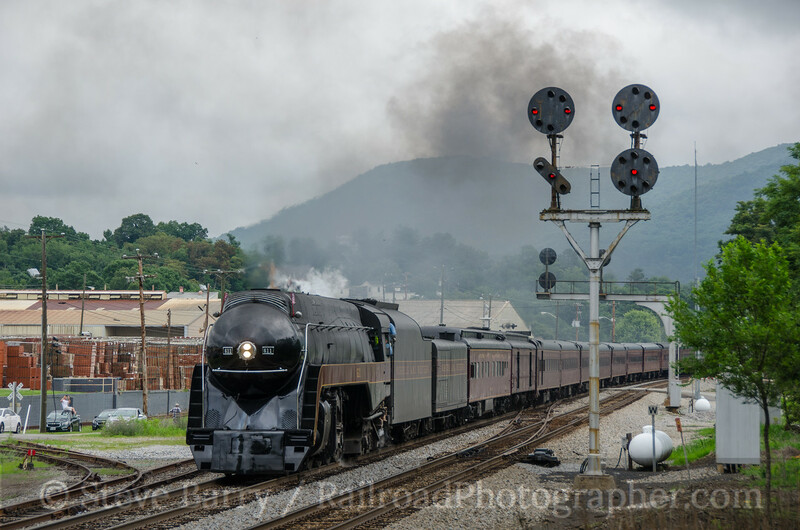 Food City is also a major sponsor. 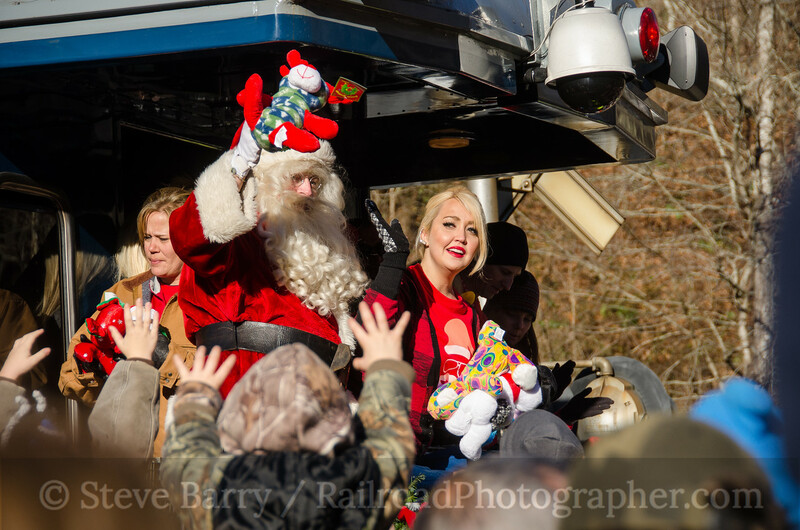 Each year a celebrity helps Santa distribute gifts; this year it was Meghan Linsey, runner-up on the television show "The Voice." 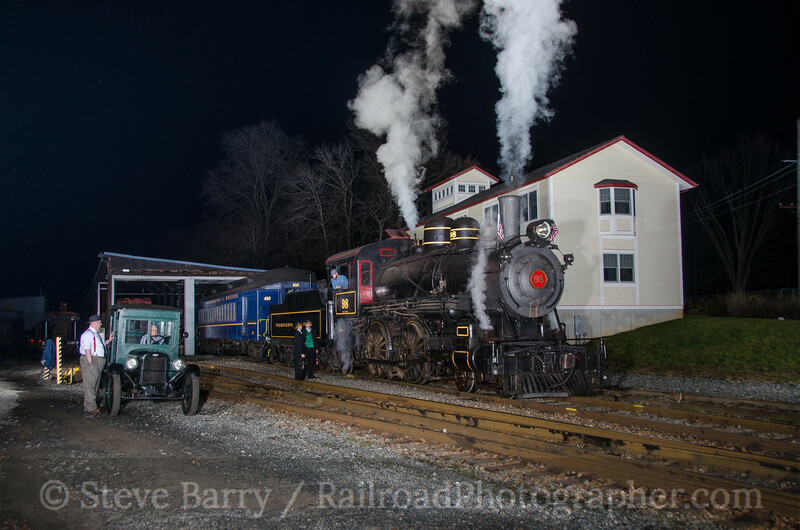 Santa stays out on the back platform of the rear observation car for the entire 110-mile trip, waving to everyone along the route. 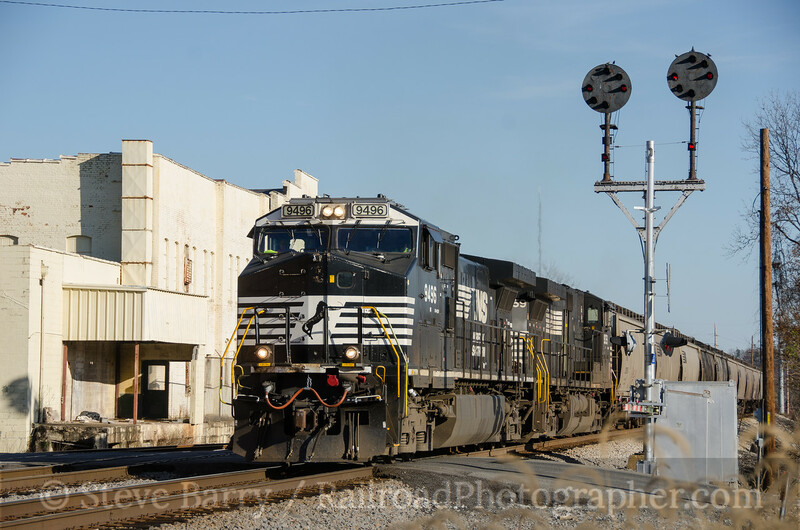 Up until a decade or so ago, gifts were thrown off to anyone standing near the tracks, but today gifts are only tossed at the designated stops. 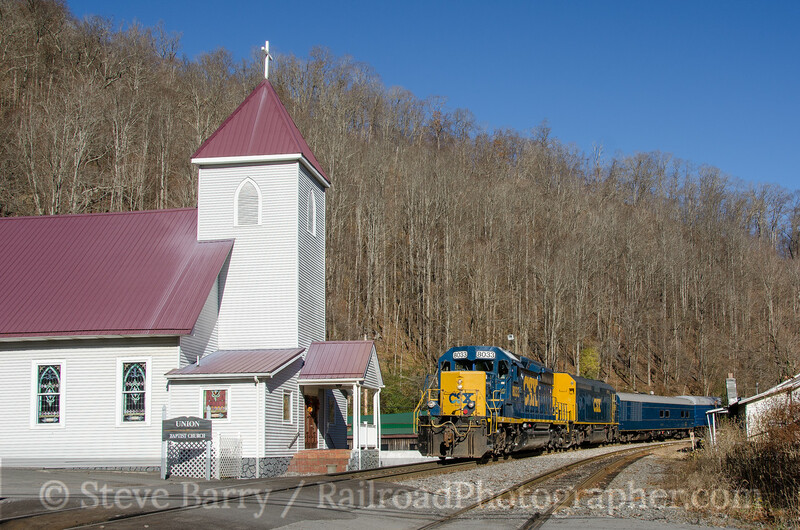 Santa was waving as the train headed towards the next stop at Fremont, Va.
We used the Fremont stop to get ahead of the train and set up for one of the classic shots on the Clinchfield -- passing the Union Baptist Church at Dante, Va. 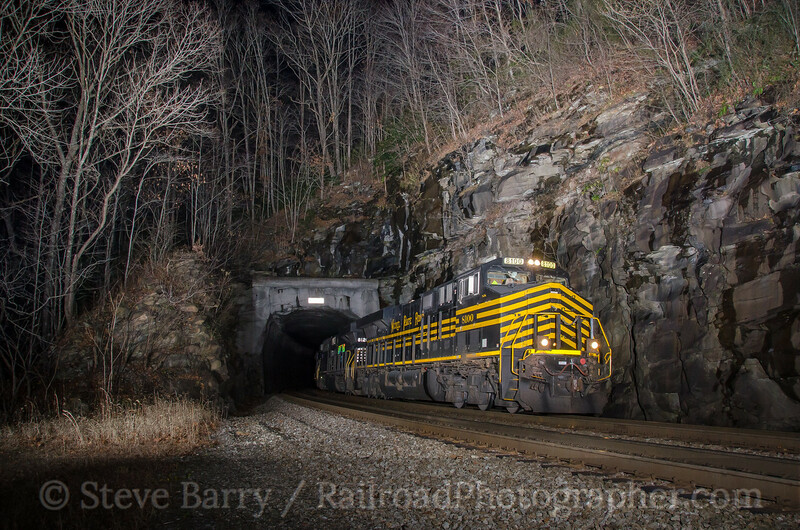 This is in the section that will have no more trains, so it was an important shot to get. 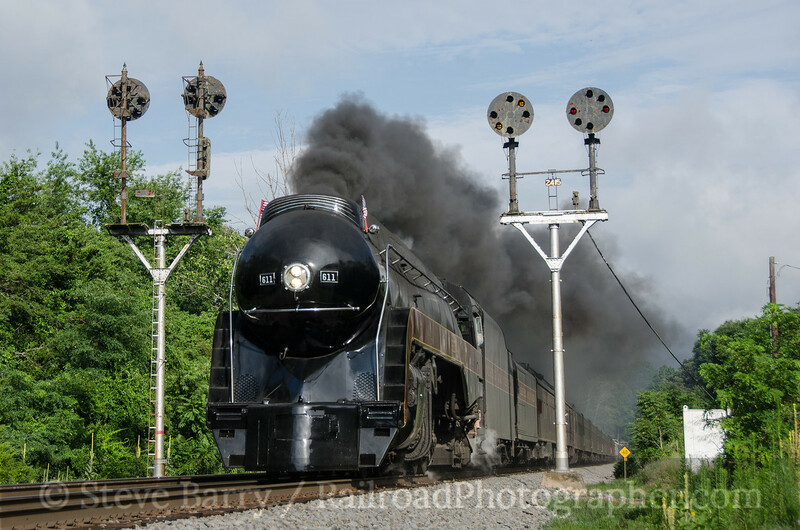 We caught the train again as it approached St. Paul, then ventured into the crowd again during the stop in St. Paul. 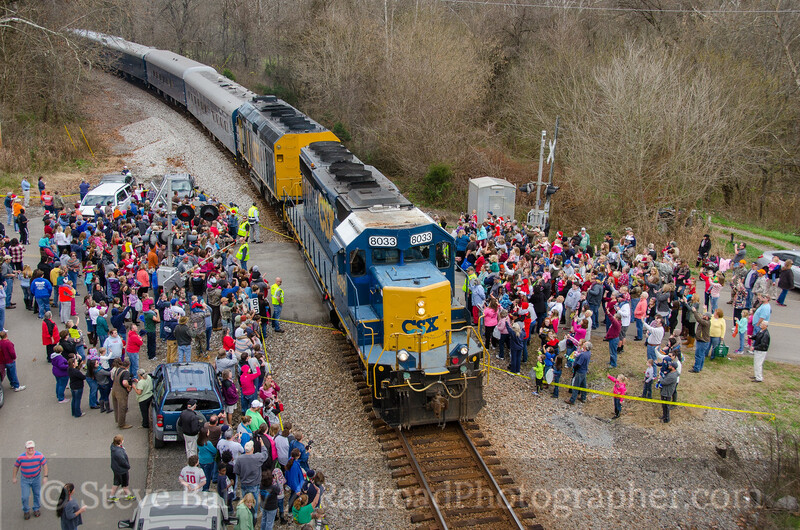 Once again, an amazing amount of stuffed animals and other gifts came off the back of the train. 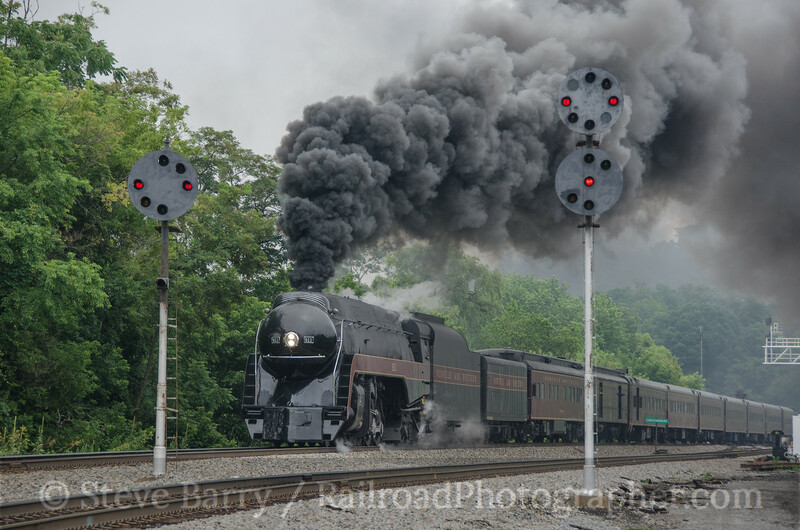 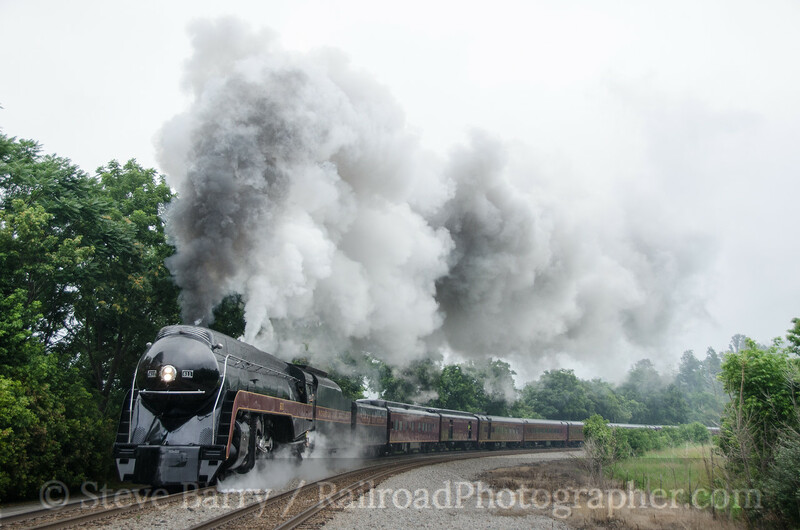 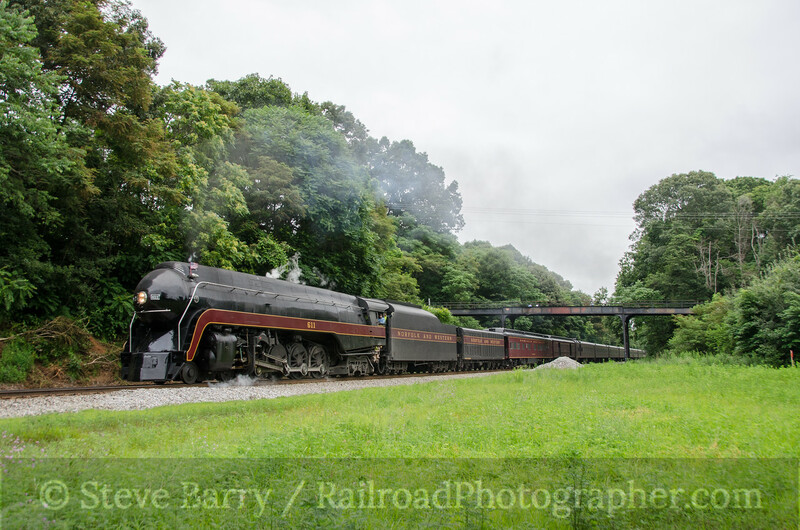 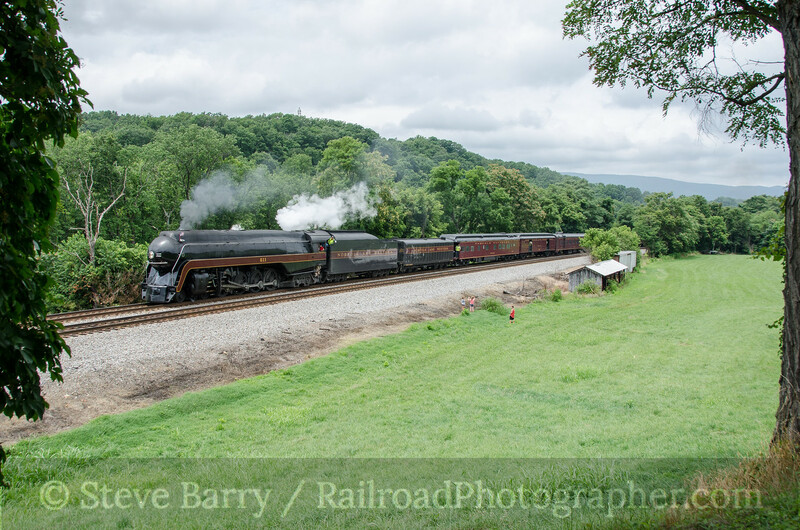 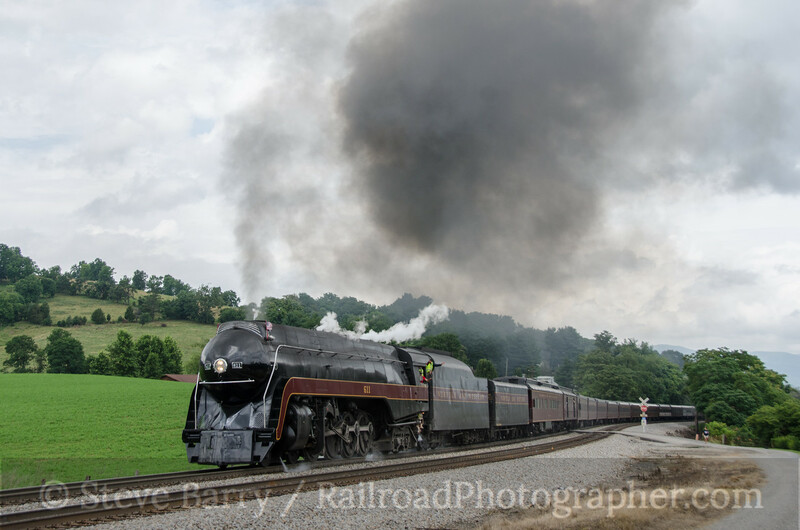 The train's next stop was at Dungannon, Va., and we caught the train coming into town there. 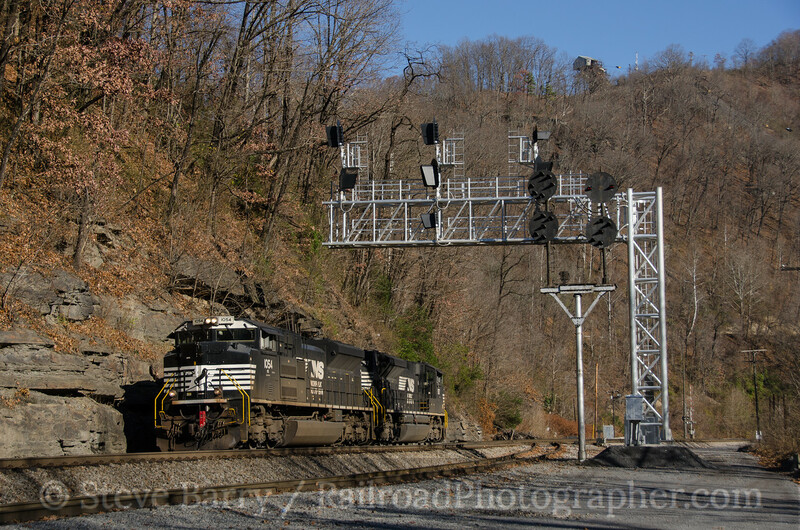 This is the section of the Clinchfield that will still see Norfolk Southern trackage-rights trains. 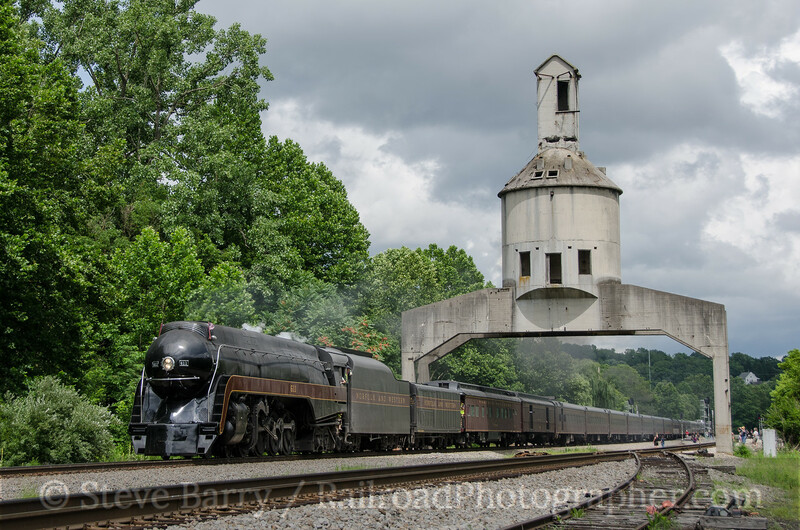 Still on the trackage rights section, next up was Fort Blackmore, Va. A highway bridge provides a nice view of the train passing through the crowd before stopping the observation car at the designated spot so Santa can do his thing. 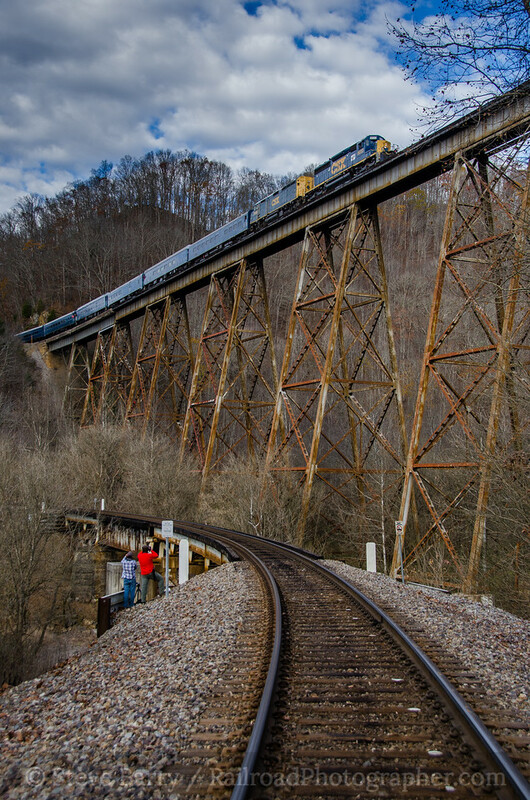 From Fort Blackmore, the train heads for the scenic highlight of the entire railroad -- Copper Creek Viaduct near Clinchport, Va. A large crowd was gathered to watch the train make its crossing. 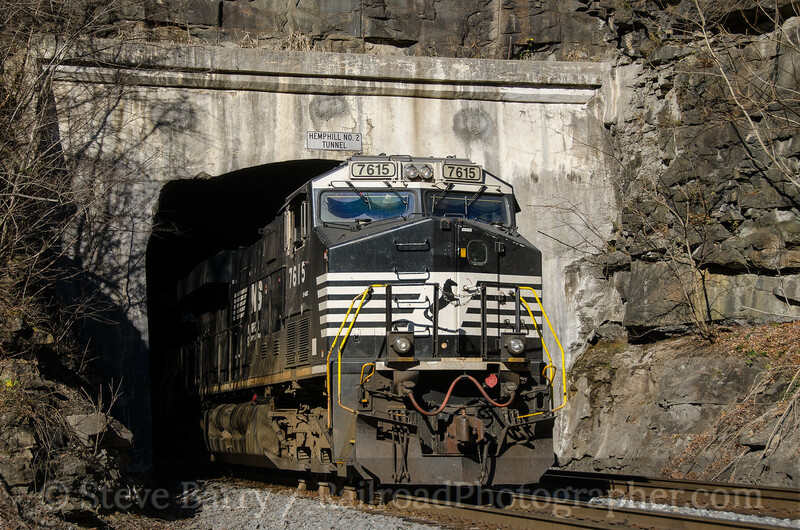 From here the tracks duck into a long tunnel while the roads take the long way around. 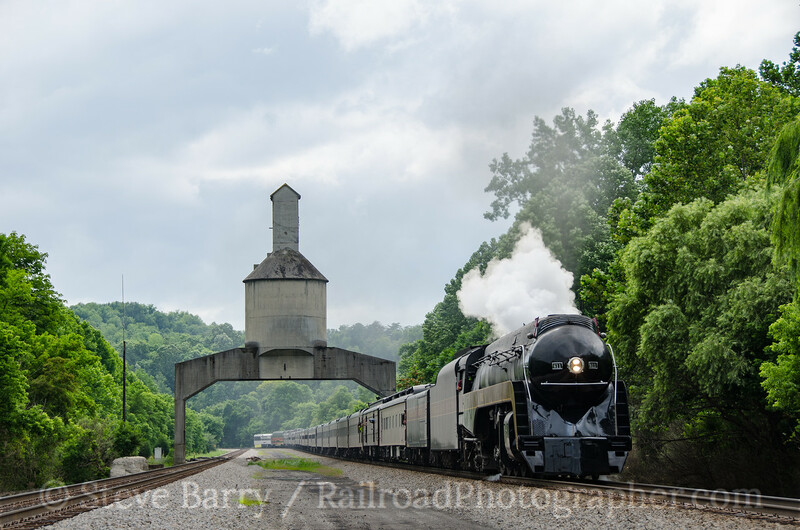 The train had two more stops to make before arriving in Kingsport, wandering into Tennessee. 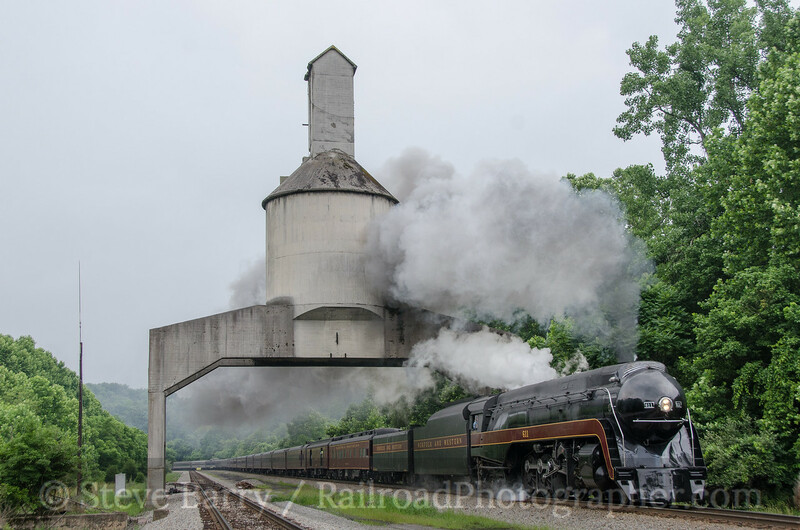 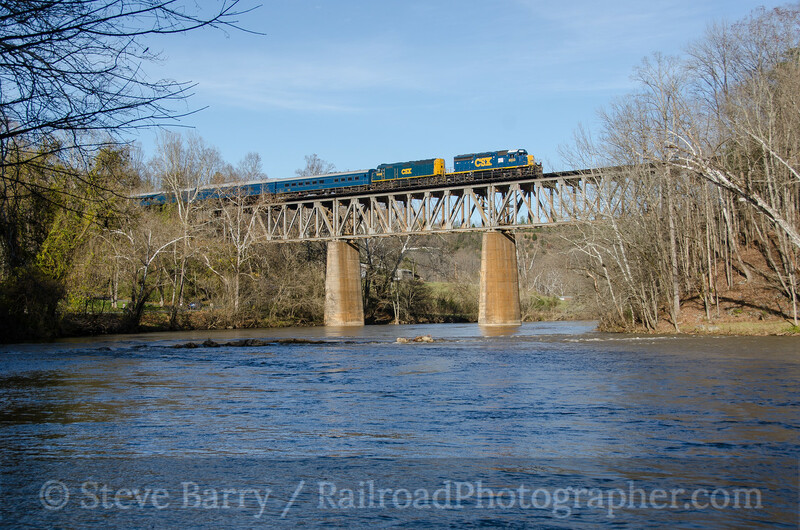 Rather than follow the train around the mountain, we headed for Kingsport and set up at the Holston River bridge just outside of town. 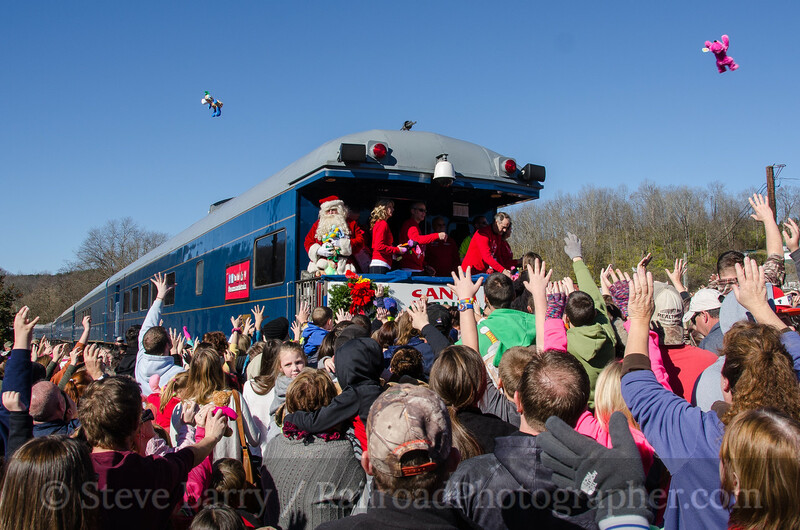 Right on schedule, just after 3:00 p.m., Santa arrived in Kingsport for the big Christmas parade in town. 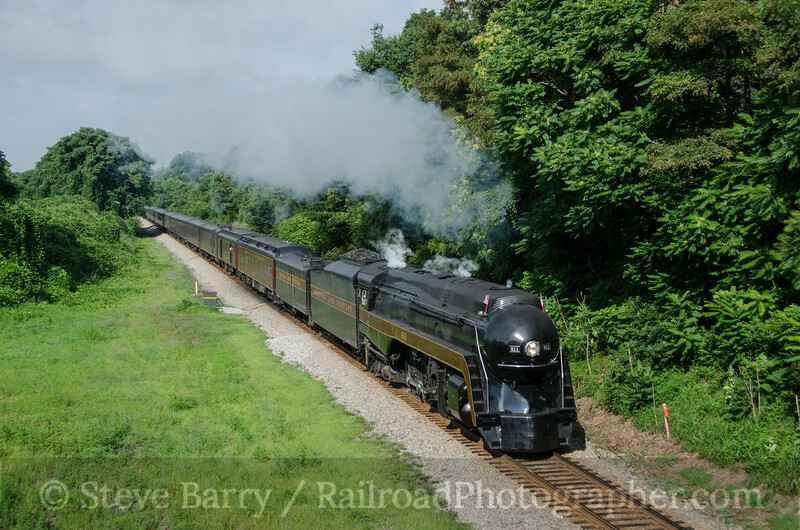 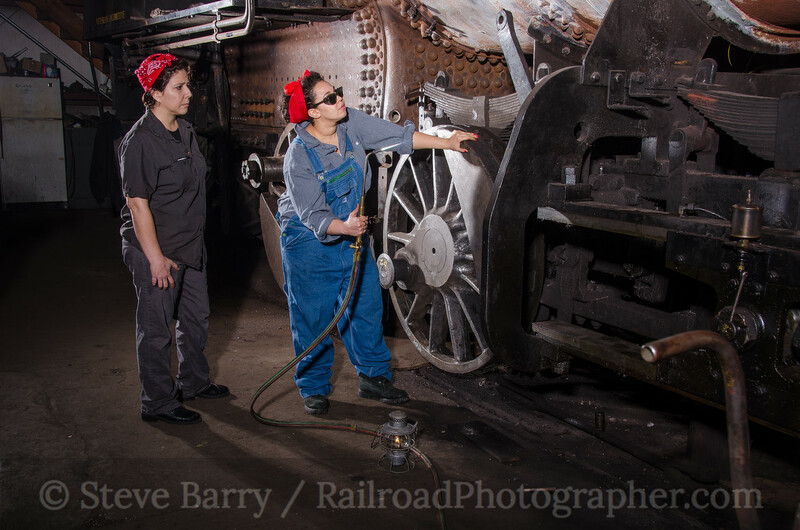 After cleaning and fueling, the train departed for Spartanburg and on to Jacksonville, Fla. 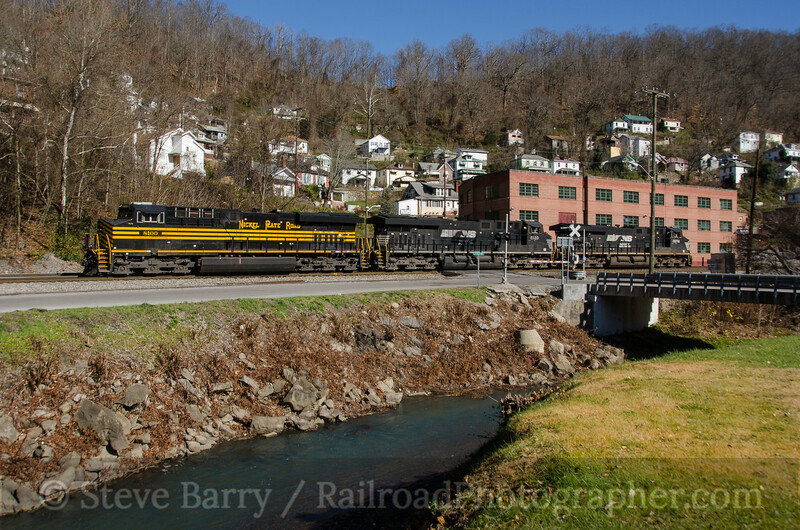 In past years it would have gone only as far as Erwin, but that Clinchfield town is no longer used by the railroad. 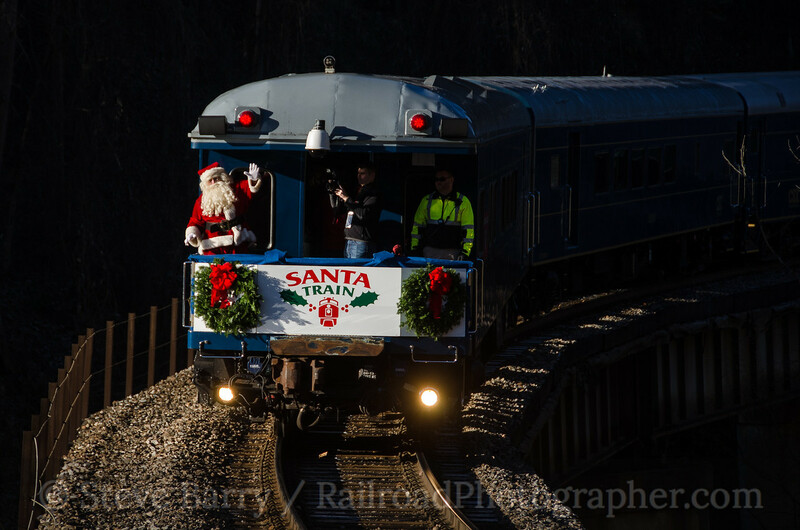 So is this the last Santa Train? 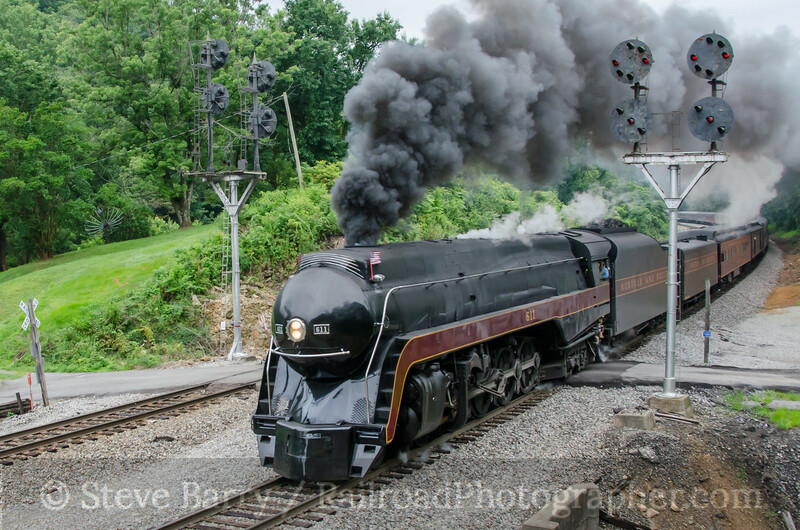 Is this tradition going to die just two years short of its 75th birthday? 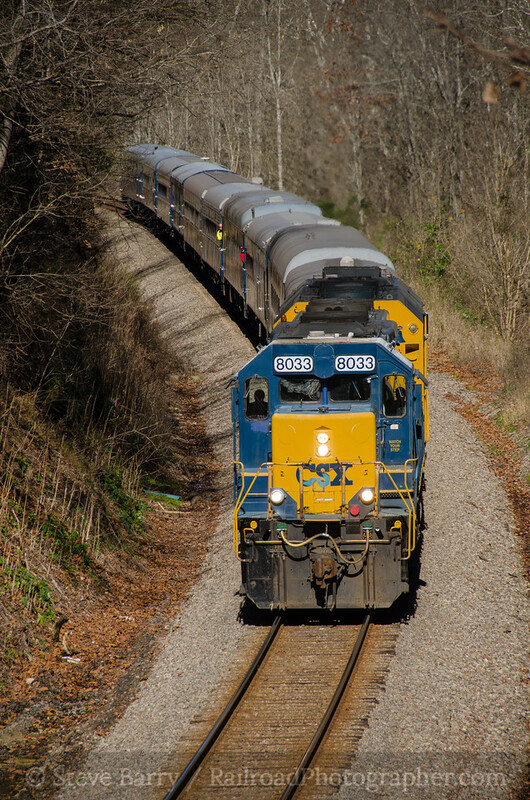 It's hard to imagine the 22 miles of track between McClure and St. Paul will be maintained by CSX for one train a year. 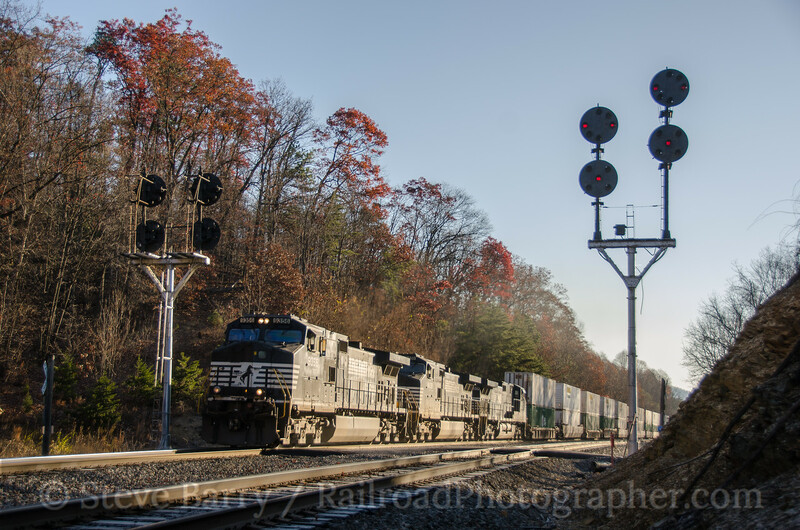 CSX, however, has said publicly that it plans to continue the Santa Train tradition, and CSX CEO Michael Ward (who was on board the 2015 Santa Train) has said the train will continue. 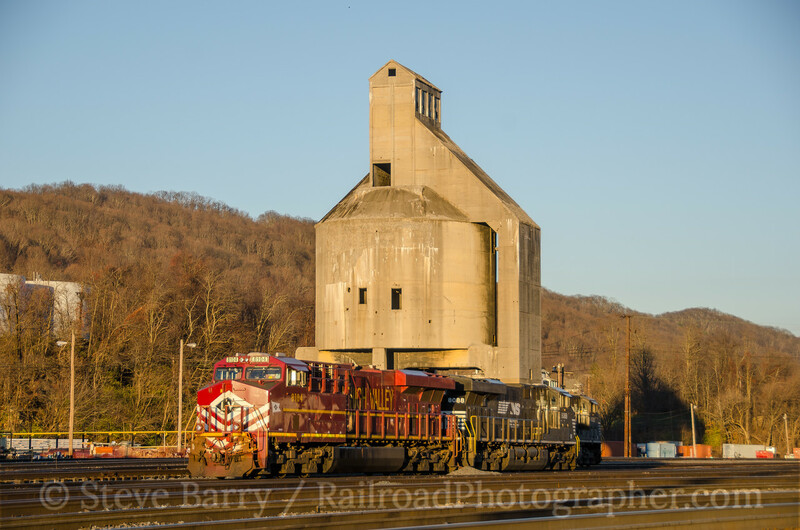 Still, a lot can happen between now and next year, and the shaky status of the former Clinchfield mainline makes you wonder... 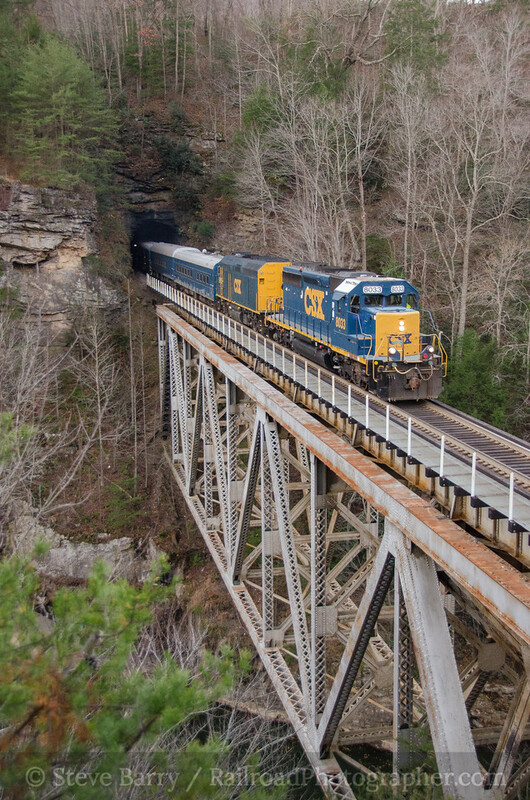 The Clinchfield has little in the way of online customers, especially with the downturn in the fortunes of Appalachian coal. 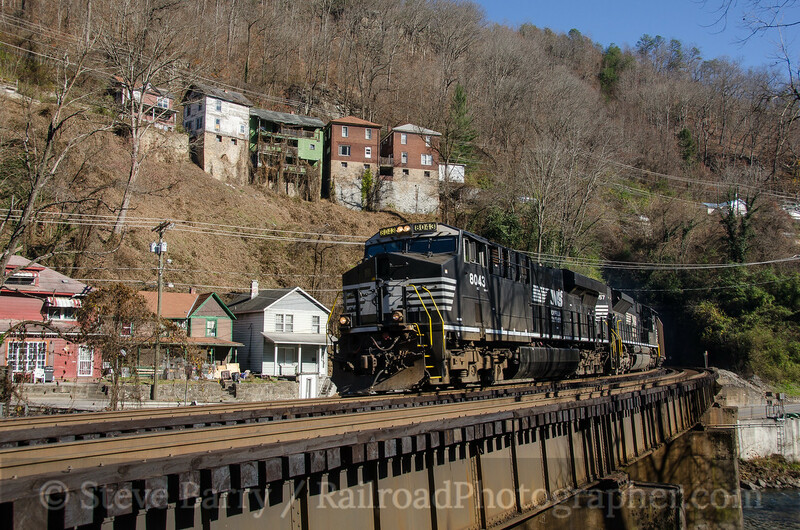 It served primarily as a bridge line for coal traffic heading south, and those trains have all been rerouted. 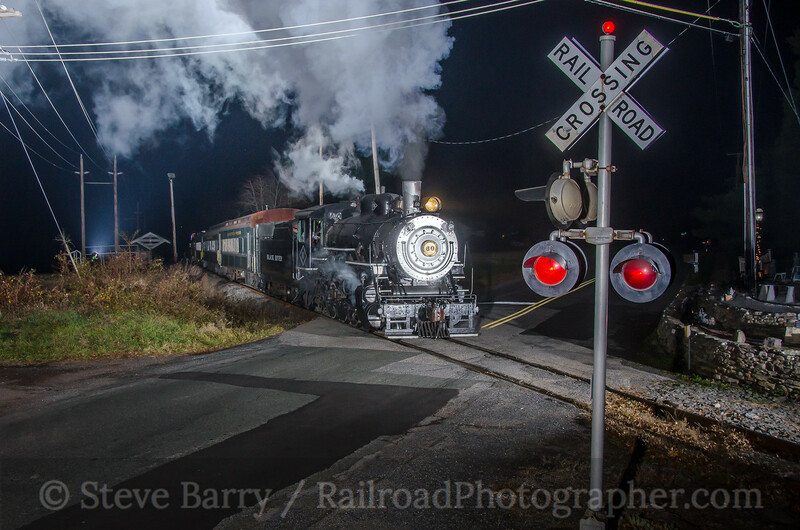 My guess is if the Santa Train makes it to 2016, then it will make it at least until the 75th birthday in 2017. 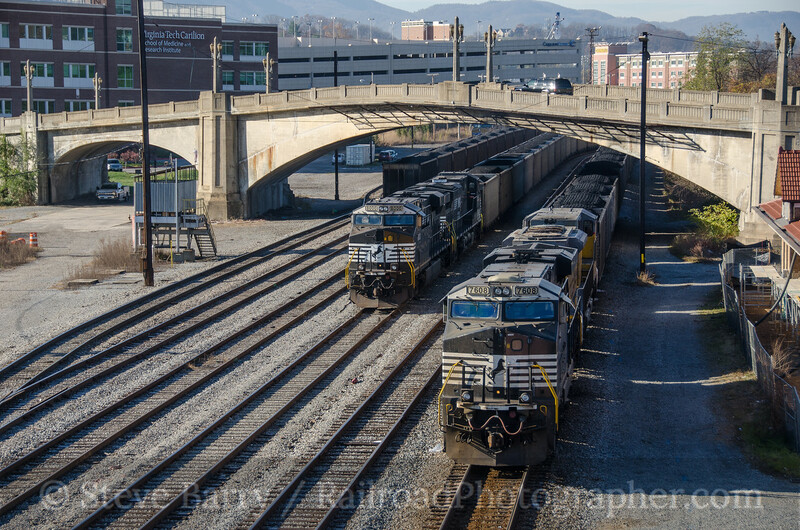 The next several months are critical, but sometime in the spring CSX is going to have to inform the Kingsport Chamber of Commerce on whether it will run the train in 2016. 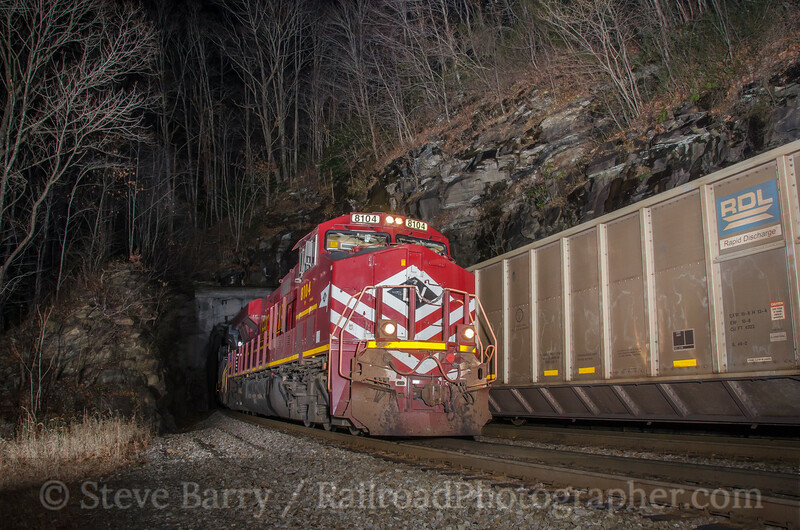 Let's hope that Santa continues to ride the Clinchfield!